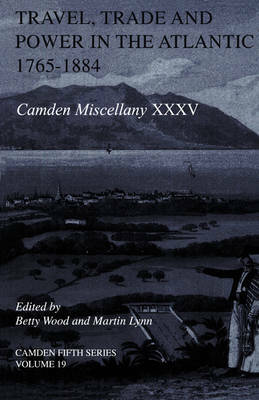 The first part of the Miscellany, edited by Betty Wood and W. D. Speck, contains the correspondence of Simon Taylor, 1765 -1775, on the management of the Jamaican estates of British M.P. Chaloner Arcedekne. These detailed and often highly picturesque letters form the most important collection of private correspondence on the political history of Jamaica in the period they cover, and comment extensively also on the imperial connection with Britain. The second part, edited by M. Lynn, describes three voyages made by John Chandler Langdon to Africa in the early 1880s. It provides a vivid picture of life on board a sailing ship and tells us much about Bristol, its merchants in the African trade, the techniques used in that trade and the commercial potentialities of parts of West Africa at the moment when the scramble for the region was getting underway.